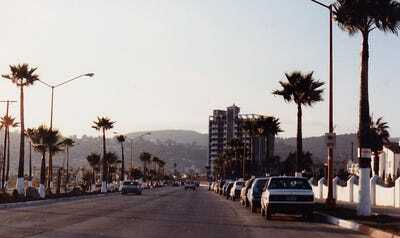 Wikimedia Commons/Roman EugeniuszRosarito Beach — where Thomas Markle lives. Meghan Markle’s dad lives in a cliff-top house 25 km south of the Mexican border in California Bay. The 73-year-old has yet to meet his future son-in-law. Markle has a noticeable limp after sustaining a leg injury two years ago, according to family members. But this won’t stop him from walking Meghan down the aisle, according to his brother. 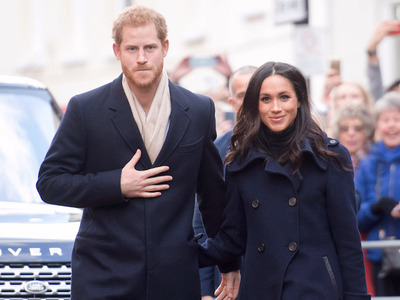 Meghan Markle’s dad, Thomas Markle, has yet to meet his future son-in-law. This is because the retired lighting director lives in a cliff-top house in Rosarito Beach – around a 15-minute drive from the Mexican/US border. After retiring from Hollywood in 2011, Mr. Markle moved to the stunning resort town in California Bay where his home now overlooks the Pacific Ocean. Meghan Markle’s half-brother and Thomas Markle’s son, also called Tom Markle, told the Daily Mail that his father has grown increasingly reclusive since the announcement of the engagement. “Dad never liked the limelight, but since the news came out about Meghan and Harry he’s become a total recluse,” Tom Jr said. Regardless of Mr. Markle’s reclusive status in northern Mexico, the father’s love for his daughter is obvious. Since he divorced ex-wife and Meghan’s mother, Doria Ragland, in 1988 when Meghan was five years old, the father and daughter have retained a close relationship and still speak regularly. In an Instagram post on Father’s Day 2016, Meghan Markle wrote: “Happy Father’s Day, daddy. I’m still your buckaroo, and to this day your hugs are still the very best in the whole wide world. The 73-year-old became increasingly introverted after sustaining a leg injury two years ago, it has been widely reported. Nevertheless, Mr. Markle is reportedly set to walk his daughter down the aisle at St George’s Chapel in Windsor Castle come May next year, according to Markle’s brother and Meghan’s uncle, Michael Markle, who confirmed the news earlier this week. “I know Thomas feels happy and excited about the engagement,” the brother and uncle said. WPA Pool/Getty ImagesPrince Harry and Meghan Markle announced their engagement on Monday last week. Despite claims from Tom Jr – who admits he has not spoken to his father or his half-sister in years – that Mr. Markle “hates” the spotlight, the soon-to-be-royal’s father reportedly enjoys chatting with friends and locals around Rosarito about his excitement over the engagement, as well as Meghan’s career on-screen in TV drama “Suits,” proving he’s just like any proud dad. Ramon Moreno, the owner of a storage complex in which Markle sublets, told DailyMailTV: “Tom is a good man and a good customer. “He loves his daughter very, very much. He says they talk regularly.